2. 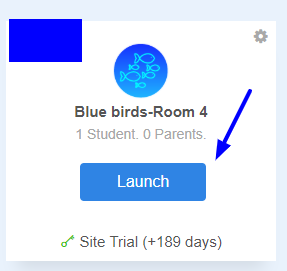 On the classroom navigation bar click on Class Settings. 3. 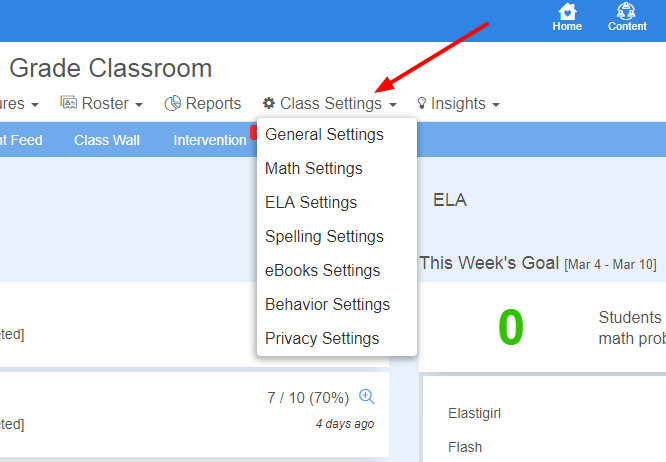 In the Math, ELA, Spelling and eBooks Settings, locate Curriculum settings. To ensure that students in the class can launch Adaptive Practices, "Adaptive Practice" (for Math, ELA, or Spelling, and "Adaptive Reading" for eBooks, must be turned ON. Turn this OFF if these content areas should NOT be visible to the students in your classroom.